Globe Scientific offers a complete line of accessories for our popular line of disposable Spectrophotometer Cuvettes. 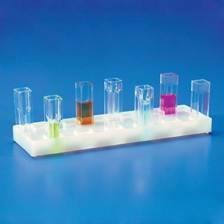 The 12-place cuvette holder is made from polyethylene (PE) and holds 12 cuvettes in place for preparation work, storage and protection from tipping over. When in storage, the racks are stackable. 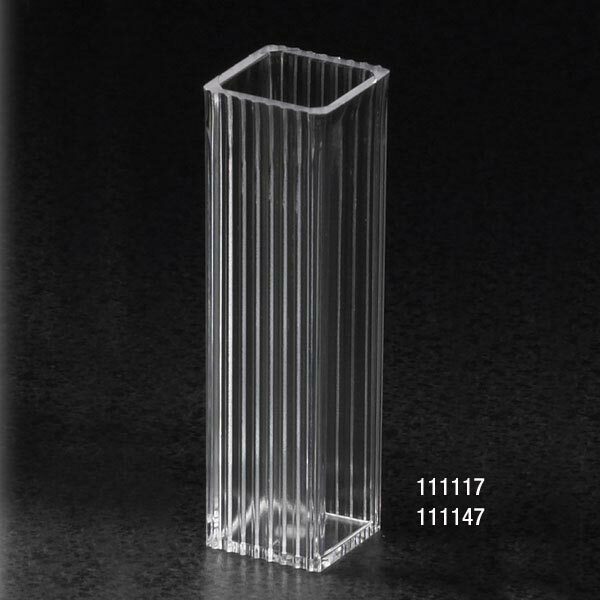 Dimensions: 170mm x 50mm x 15mm. The caps are produced from low density polyethylene (LDPE) and easily snap into the square cuvettes to provide a complete seal. This provides added protection against spillage and contamination. 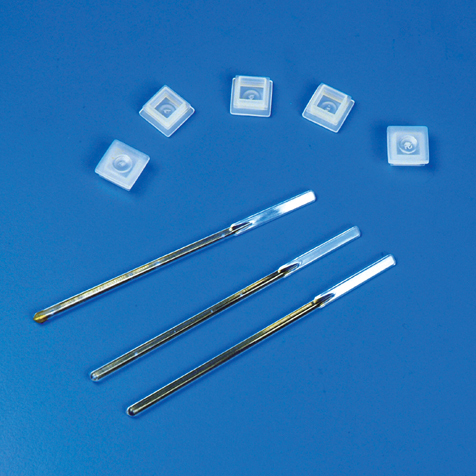 The disposable stirring stick is produced from polystyrene (PS) and is 90mm long for comfortable access to the bottom of the cuvettes.